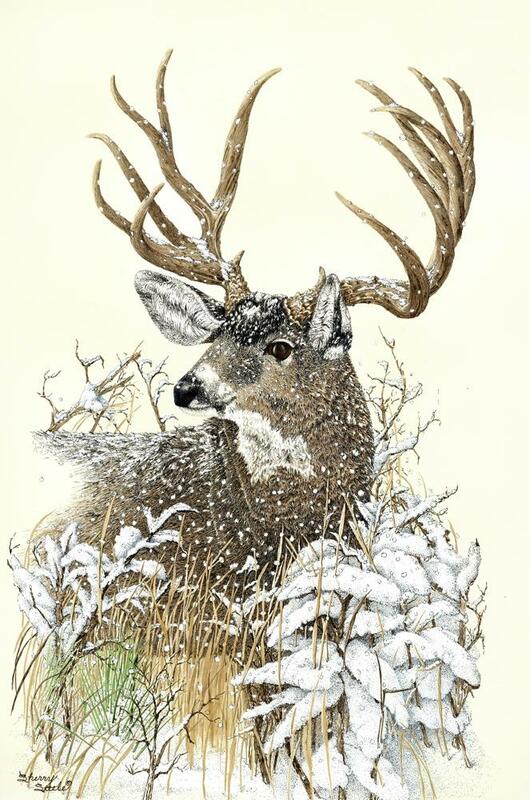 Caught by the first snow of the season, not even the flakes embellishing his antlers and crusting his back can cool the ardor of this Desert Mule Deer. The harsh conditions of his range in the high deserts of New Mexico only intensify the bitter cold of the approaching winter. Wearing his bejeweled antlers like a crown, there is little that will distract this Dandy from his quest to conquer his rivals and find the ladies.